Home » What’s wrong here? So, what is wrong with these pictures? 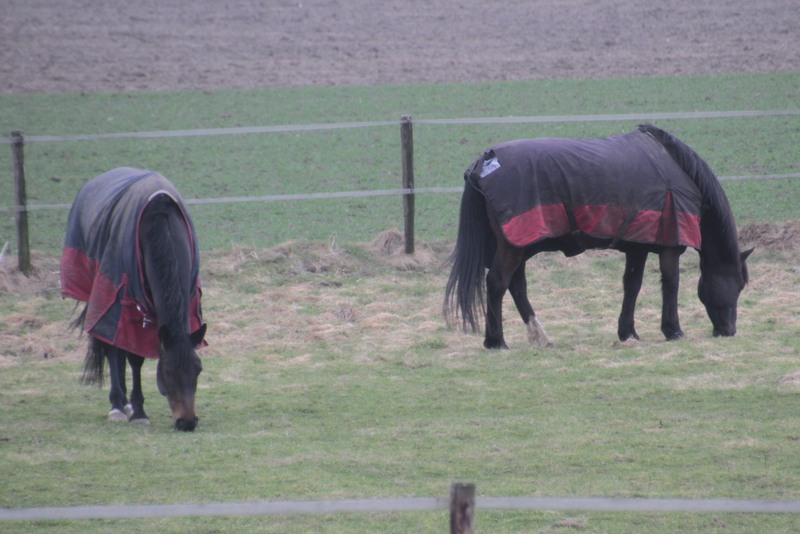 It seems a perfectly normal scene – horses grazing in a field, jackets on to protect against the cold. To all intents and purposes, the horses are doing alright – but the temperature is nearly 10˚C. Why then, do these horses need jackets? They have a perfectly natural coat which does a far better job of keeping them warm and dry than these man-made items. A horse can live in temperatures down to -40˚C – without need of a man-made jacket! Even “thin-skinned” arab horses are capable of withstanding very low temperatures – the desert is not always that warm at night. The hair on a horse is a fantastic temperature regulator – and fully automatic, too. The air trapped in the layers of erect hairs functions as an insulator – one of the best there is; if it gets too warm, the hair flattens, reducing the air-layer to next to nothing; if it is still too warm, transpiration sets in and the hairs then take on their other role of capillary-transport, allowing the sweat to flow to the surface to be evaporated. 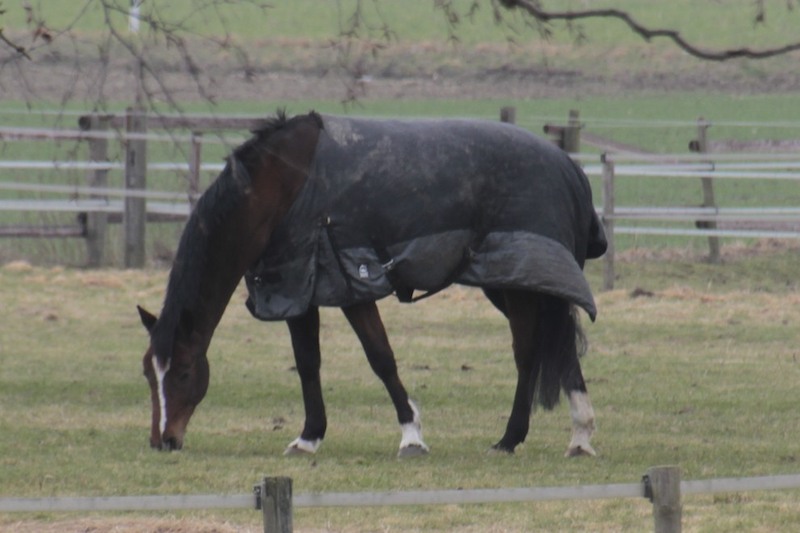 The problem we create when putting a jacket on our horse is that temperature regulation is effectively turned off – compare it with a fire without an on/off switch or thermostat in a living-room where the windows and doors are closed all the time. If our horse is cold, then the jacket stops him from being able to erect his hairs to create an insulating layer of air. If our horse is too warm and needs to sweat, then by pressing the hairs down flat, the jacket reduces the capillary-effect of the hairs, and any sweat that does get through, will only get into the lining of the jacket and will not evaporate allowing cooling.